London is waaaaarm today. I decided to give cycling a break today as it’s been pretty full on the last couple of days. 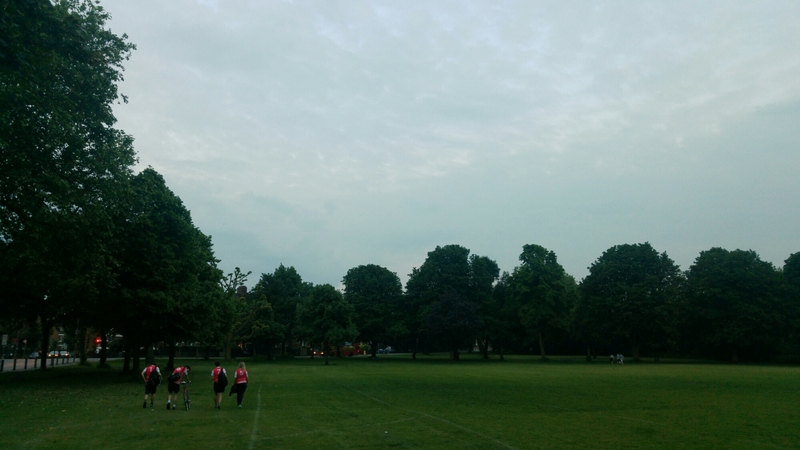 But me still being me, I ran the 4 miles to touch rugby instead of getting the train, which is definitely a bad idea when it’s this hot and muggy. Couple that with 40 minutes of touch rugby and you’ve got yourself one sweaty betty! I love it though and I’ve had another fantastic day!